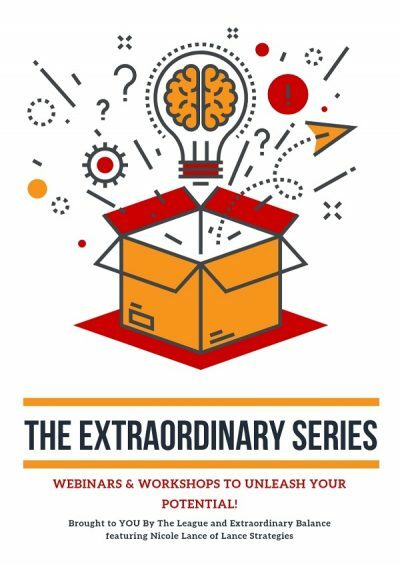 The last of the 3-part series, this webinar will focus on: Leveraging fear rather than being held back by it and Knowing that the Fear is Greater Than the Fallout; Why Self-care is a Superpower and micro-strategies for caring for yourself so you can continue to care for others; and The importance of Practicing Radical Presence and Deep Play. Interested in getting to know other local government professionals in the Metro then lease join us for a casual, networking event at the new Dott Boss Coffee & Cocktail House at 101 W. Main Street, KCMO (Inside Hotel Indigo-Downtown). Open to all local public sector professionals. Cash bar. Ticket not required, but registration appreciated for event participation count. $55-65 per workshop depending upon selection and eligible discount. For more information and to register, CLICK HERE. 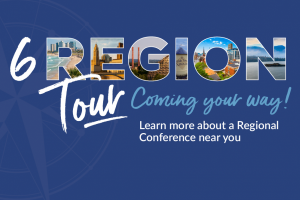 The 2019 ICMA Regional Conferences will send you home with the ideas and know-how you need to reshape and create new innovations in your organization and community. Develop an innovation mindset. Dream up a playbook on the technologies local governments need to meet the challenges of 21st century governance. Expand your professional network! Early-bird registration opens March 18 and detailed event information coming soon! The League is proud to once again sponsor this year’s special women’s session at NFBPA: Self-Care is a Super Power! Featuring Nicole Lance of Lance Strategies. Despite our seemingly constant race to the bottom of the energy well, exhaustion and burnout are not status symbols. There is a reason airlines instruct passengers to put on their own mask first! We are bombarded with high expectations, endless demands for our time, and more items on the to-do list than we can reasonably accomplish. While signing on for a life of public service means giving of yourself to those in need and caring for our communities and the residents we serve, the demands of the work and our lives outside of jobs can mean we lose meaningful connection with ourselves and others. This can compromise our ability to be our most successful selves at work and home. Join ICMA, the League of Women in Government, the Michigan Municipal League, and the University of North Carolina, Chapel Hill for a webinar on the current state of women entering into local government management and the amount of progress that has been made in recent years. Our presenters will report on new research data, introduce new professional development models, and provide a range of barrier-breaking ideas and opportunities. Plans for the new partnership between ICMA and the League of Women in Government. The second of the 3-part series, this webinar covers why it’s critical to Initiate Courageous Conversations and how to do it successfully, the importance of Treating Every Interaction as an Interview, and the strategic advantage of putting people first by Remembering the Human-ness of Your Work. Bring your own lunch and join us for an interactive conversation and ICMA coaching webinar to discuss gaining support for your project! This session will showcase case studies to help you determine how to effectively present your project and how to successfully get your team onboard with your new project. After the webinar, the Legacy Project Luncheon Committee will facilitate a discussion about your specific project support questions and what experiences you have had that you found effective (or ineffective). Please come with any questions and/or experiences to share! The first of the 3-part series, this webinar introduces the first 3 strategies. Learn why Being Intentional, Building an Army of Advocates, and Choosing Your Own Adventures are all critical for relentless pursuit of success. The League is a proud partner of the ICMA Coaching Program. Learn the keys to presenting your idea or project effectively. Hear how everyone play a role in leading and supporting productive change. Presenters will share case studies that demonstrate how to navigate your council, the public, and serve successfully. We’ll be using webinar tools (including real-time questions and live polling) to make this a dynamic opportunity for audience interaction. Legacy Project Luncheon: Are you ready for the next step? November: The Prep. The Search. The Message. The Look. The Results. Luncheons begin at 11:30 a.m. and end promptly at 1:00 p.m. Please join us for an interactive discussion on topics of particular interest to women working at all levels of local government. REGISTRATION: Event is free, but registration is required. For more information and to register, FOR MORE INFORMATION & TO REGISTER, CLICK HERE. The mission of the WLG Summit is to expand opportunities for the next generation of women leaders in local government. As the topic of our most recent Legacy Book Club discussions the book, Breaking Through Bias, by Andrea Kramer and Alton Harris, was very much enjoyed. So we are now thrilled to announce that Ms. Kramer and Mr. Harris will be our presenters for the Legacy Project’s 2018 Seminar. Join your colleagues from across the nation for the 3rd Annual ICMA University + League of Women in Government Symposium. This pre-conference event focuses on trending issues that are important to not only local government women, but to everyone who is striving for inclusivity and gender equity in their organizations. This year’s Symposium is going to be FABULOUS! Mark your calendars and make your travel plans to arrive in Baltimore early for this not-to-miss event! You won’t want to miss this fantastic presentation! Seats are only $25 and will sell out quickly. To register for the Symposium you may complete your Symposium ticketing online through the ICMA Annual Conference Registration process. Look for the Symposium under the “ICMA UNIVERSITY WORKSHOPS” section in the ONLINE REGISTRATION FORM WHICH MAY BE FOUND HERE. This event is free but requires preregistration. For more information and to register, CLICK HERE. 1. What are the effects of unconscious bias in the workplace? 2. How can bias impact policies and actions and our communities? 3. What are examples of effective steps to make local government fairer for all? Cost is $30. For more information or to register, CLICK HERE. Dr. Joyce Bono will present her research, which shows we still have much work to be done in overcoming bias and illustrates how bias creates roadblocks for women moving into leadership positions, ending with an open discussion about real “solutions” – what you can do to enact change today. Martha I. Vinas, Chief Operating Officer, Cigna, North Florida will discuss the various forms of bias women have overcome in their professional lives and share success stories. The event is free, but registration is required. For more information and to register, CLICK HERE. The NW Women’s Leadership Academy is an exciting pilot program officially sponsored by the Washington City-County Management Association (WCMA) to advance women from a variety of backgrounds in local government into leadership roles. The 2018-19 Academy includes six day-long sessions presented by outstanding public sector leaders and hosted by jurisdictions in the Central Puget Sound. The sessions run from September 2018 to June 2019. View the link below for session schedule and descriptions. The Academy is an exceptional professional development opportunity for a cohort of emerging local government leaders. Participants will enhance skills and competencies, build confidence, and expand professional connections through career mentoring and moral support. The cost of participation in the Academy is $600. The League is a proud sponsor of an Academy Scholarship! Email Derek Matheson at DMatheson@kentwa.gov for more information. Apply here by July 13th to be part of the first cohort of approximately 30 women in the Leadership Academy. The selection process will be completed by mid-August, and admitted applicants will be expected to make a commitment to participating in the program by the third week in August. KU INSPIRING WOMEN IN PUBLIC ADMINISTRATION CONFERENCE – SPEAK YOUR TRUTH! The purpose of the conference is to come together to exchange stories, ideas, and encouragement with other women in public administration. This year’s theme for the Inspiring Women in Public Administration conference is “Speak Your Truth.” We will explore topics such as finding your voice, owning your expertise, and practicing self-care, empowering one another to move onward and upward. The League of Women in Government is proud to be a Diamond Sponsor of #IWPA2018 again this year. We’re also excited to recognize League Board Member, Kimiko Black Gilmore who is serving as Chair of the conference this year. In addition to Kimiko, we’re pleased to announce that League President Ashley Jacobs will be in attendance and speaking at the conference. 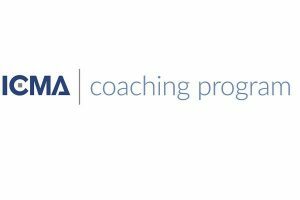 The League is a proud partner of the ICMA Coaching Program.CLICK HERE. Topics 1. How can you retool your organizational culture and design your workplace for better results? 2. What are practical steps to make your agency better able to attract, grow, and retain talent? 3. What resources are available to support your efforts? Presenters: * Charlie Bush, City Manager, Sequim, WA * Karen Niparko, Executive Director, Human Resources, City and County of Denver, CO, Nat Rojanasathira, Admin. Services Dir., Danville, CA, and Donna Vaillancourt, Human Resources Dir., San Mateo County, CA. Don’t miss this now annual event! 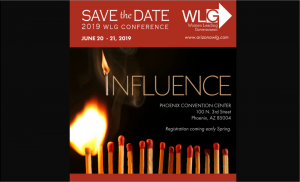 In 2015, the Arizona Chapter of WLG was established through affiliation with ICMA and the first annual event was hosted with more than 250 attendees. The 2018 annual event is now expected to draw more than 400 local government representatives from around Arizona. The League is proud to be a scholarship sponsor for students/women in need to be able to attend. To register at the reduced rate of $95, register by May 4th CLICK HERE. This half-day event will teach you how to set context for your next public engagement effort. Sarah Rubin, Public Engagement Program Director at the Institute for Local Government, will provide attendees with a brief overview of ILG’s TIERS Public Engagement Framework. Check-in begins at 8:30 a.m. Program begins at 9:30 a.m.
MMANC Member and Nonmember Online Registration. The Women’s Leadership Summit is the second of premiere annual events of the year provided by MMASC and its partners, and is in collaboration with Women Leading Government (WLG). Connect with other women [and men], hear from dynamic and inspirational keynote speakers, participate in informative sessions and expand your skills. Join us for a full day of great sessions including one led by Santa Barbara Assistant City Administrator & League of Women in Government CAO, Pamela Antil: From #MeToo to #TimesUp: What do we need to do to prevent sexual harassment in the public sector? MMASC Member and Nonmember Online Registration. WLG-CA Member ONLY Online Registration. Organizational Performance- If not Baldrige, then what? The City of Fort Collins has been on the “official” journey to excellence, utilizing the Baldrige Excellence Framework, since 2010. Prior to 2010, the City experienced engaged citizens and businesses, an active Council, a high performing work force, and high standards. So, why Baldrige? Since adoption of the Baldrige framework, the City has aligned important leadership tactics, such as strategic planning and budgeting, with customer needs and satisfaction. Why is this important? This clear vision towards continuous improvement has inspired our colleagues to find better, faster and more efficient ways to provide services to our community. What framework do you use to assess your organizational performance? Registration is free – RSVP to STXWLG@gmail.com to attend. 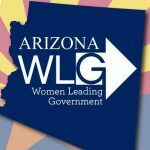 NFBPA and the League of Women in Government (LWG) have partnered to provide a workshop to explore ways to help advance women in local government leadership. Join us for this special panel and networking event embracing the theme, “It’s OUR Time.” The panel will discuss what organizations need to do to increase the number of women in senior executive positions in local government. 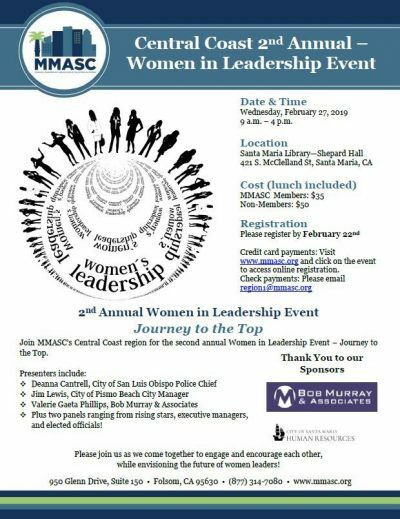 This event offers opportunities to women (and all others dedicated to the development of women leaders), at the beginning, middle and executive career levels, to EDUCATE, MENTOR and ENCOURAGE participants in a workshop and reception setting. Networking reception immediately following the workshop session hosted by the League of Women in Government. Registration is FREE, but space is limited at the Reception so registration is required. To register, CLICK HERE. Suggestions on future Coaching Call speakers/topics are welcomed. Email Kelly Houghteling at khoughteling@windsorgov.com. Free to attend, but please register below so we know you’re coming! Bring your own lunch. Professional risk taking can take many forms: moving into a new position, changing communities, starting a business, going back to school and more! This quarter’s luncheons will discuss: how to take risks without being reckless; weighing all the options, making your case and how to stop before you jump too quickly. Lisa R. Callaway, a Partner with Engler, Callaway, Baasten, & Sraga, LLC., will present at all three sessions. Please come with any questions or experiences to share. This is the final session in the 3 part series. To mark the 25th anniversary of the Family Medical Leave Act, The Women’s Fund, in partnership with Gateway Film Center, The Women’s Public Policy Network, Geben Communication, Planned Parenthood of Greater Ohio and the League of Women in Government , will explore America’s paid leave crisis and the importance of providing paid leave to working Americans. After the screening, join advocates and legislators for a conversation about what you can do to advocate for paid leave in Ohio. Watch the Zero Weeks trailer here and learn more about the documentary here. Professional risk taking can take many forms: moving into a new position, changing communities, starting a business, going back to school and more! This quarter’s luncheons will discuss: how to take risks without being reckless; weighing all the options, making your case and how to stop before you jump too quickly. Lisa R. Callaway, a Partner with Engler, Callaway, Baasten, & Sraga, LLC., will present at all three sessions. Please come with any questions or experiences to share. This is the 2nd of three sessions on this topic. If you are attending the League City Manager’s Department Conference, come by and meet some new people before heading out for dinner that evening. The Aqua Lounge is located in the Island Hotel, 690 Newport Center Drive, Newport Beach, CA 92660. For more information and to register,email cjohnson@lagunabeachcity.net. In 2014, the ICMA Task Force on Women in the Profession issued a report and series of recommendations to the ICMA Executive Board. This session will provide an update on the progress of the recommendations, as well as discussion about next steps. Time will also be allotted for Q&A and networking among participants. Presentation by League of Women in Government Board Members: Pamela Antil, Assistant City Administrator, Santa Barbara, CA and Ted Staton, City Manager, Upper Arlington, OH. Kathleen Rush, a former CAO and current VP at GovHR USA, will speak about the Illinois Legacy Project, why it was formed, and the importance of encouraging leadership by women in the workplace. This session will offer attendees a chance to reflect on what actions they may consider, individually and as an association, to allow for success in meeting this challenge. No one needs to look far these days to find that someone has been accused of sexual harassment, or to recognize that there are obvious concerns about what is acceptable in the workplace when it comes to this important issue. Most people recognize that harassment is when someone openly bullies, belittles, threatens or even terrorizes another person. However, harassment isn’t always that obvious, and can be subtle in nature. The key to eliminating harassment and the sometimes unintentional – and unlawful – aspects of discrimination in today’s workplace is in prevention. From flirting and dating to clueless behavior and predatory harassment, this brief program will help to clarify the range of behaviors which are considered unlawful harassment, and help workplace contributors resolve these issues in a proactive manner. Participants will discuss the definitions, impact, and behaviors defined as sexual harassment in the workplace; receive standard procedures for reporting sexual harassment; and examine the role and responsibility of each team member in preventing sexual harassment. For more information and to register, email emilyk@mocities.com. For more information and to register,CLICK HERE. Use the live webinars or digital recordings as opportunities to learn about best practices. The live webinars have engaging interactive polling and Q&A experiences. Invite your team to attend so that you develop a cadre of knowledgeable and motivated people to discuss and implement the ideas. Webinars are free, but space is limited and registration is required. Women Leading Government-CA has teamed up with Lean-In Long Beach to host a Noshing and Networking Event at the Long Beach Petroleum Club. This is a no program event to meet friends and make new ones in an informal gathering. The cost is $22 at the door in cash. Please RSVP to LeanInLongBeach@gmail.com. Networking is an important part of our mission and I hope you can join us! Studies have shown that inclusive cultures with gender diversity in leadership positions achieve better overall organizational results. Still, even after more than 30 years, women are not proportionately represented in the upper ranks of city management. But, as long as cities are being run day to day, does the lack of women in upper management even matter? It sure does! The lack of gender diversity in organizations can have a big price tag in lost productivity and financial success. Striving for more diversity can have a huge payoff for your organization. In addition, as communities strive to deal with changing demographics and ensuring that the workforce at all levels reflects the communities being served, embracing diversity of all types, including gender, is essential for the future health of our cities. The panel will discuss: Reasons why little progress has been made to address gender equity in the public sector and why the future of our cities requires that we embrace diversity of all types, including gender; How to spot and eliminate biases within your elected and appointed officials that may hinder your ability to hire qualified and experienced women for senior executive positions including City Manager, Police & Fire Chiefs, and other department head positions traditionally held by men in our cities; Ideas to intentionally train, develop, mentor and advance women within your organization; and Successful strategies to create a more inclusive gender balanced organization to ensure the best chance for organizational and, ultimately, community success. 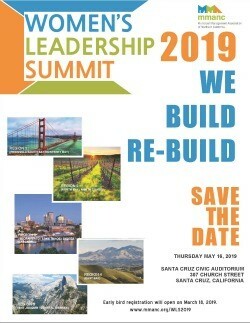 The League of Women in Government is partnering once again with the International City/County Management Association (ICMA) for this annual Symposium Event! More seats have been added! If you’d like one of the few remaining tickets, email ICMA staff member, Rita Ossolinksi at Rossolinski@icma.org. This year our Keynote Speaker is none other than Dr. Michael Kimmel, the world’s most prominent male feminist! Dr. Kimmel is the SUNY Distinguished Professor of Sociology and Gender Studies at Stony Brook University. Among his many books are Manhood in America, Angry White Men, The Politics of Manhood, The Gendered Society and the best seller Guyland: The Perilous World Where Boys Become Men. With funding from the MacArthur Foundation, he founded the Center for the Study of Men and Masculinities at Stony Brook in 2013. A tireless advocate of engaging men to support gender equality, Kimmel has lectured at more than 300 college, universities and high schools, as well as countless private and public sector conferences. He has delivered the International Women’s Day annual lecture at the European Parliament, the European Commission and the Council of Europe, and has worked with the Ministers for Gender Equality of Norway, Denmark and Sweden in developing programs for boys and men. He consults widely with corporations, NGOs and public sector organizations on gender equity issues. More seats have been added! If you’d like one of the few remaining tickets, email ICMA staff member, Rita Ossolinksi at Rossolinski@icma.org. In collaboration with Plante Moran, the League of Women in Government is proud to host a Welcome to San Antonio Reception at the ICMA Annual Conference in San Antonio, Texas. Join us to reconnect with colleagues from across the nation and to meet new ones! This event will include hosted beverages and snacks for ICMA + League Symposium ticket holders and will be held at Rita’s on the River – Penthouse Room. Others who were not able to attend the Symposium are also welcome to attend for $20 (includes two drink tickets and snacks at the event). FREE for ICMA + League Symposium ticket holders. To register, CLICK HERE. Space is limited, so register today! Mix, mingle, share and listen to stories about local government careers & service! Sign up to tell your story, or listen to your friends tell theirs. This event is presented by ICMA in partnership with ELGL, IHN, NFBPA, and the League of Women in Government. Tickets are free, but space is limited. Please preregister when you sign up for #ICMA2017 or USE THIS LINK. Plans are still underway, but we are excited to announce that co-authors of the ICMA Task Force on Women in the Profession, Pam Antil, CA WLG Board Member & President of League of Women in Government and Tammy Letourneau, CA WLG Board Member and Treasurer of League of Women in Government will be keynote speakers. For more information and to register, visit the MML website HERE. Join Central Texas WLG for this special luncheon featuring guest speaker Deirdre Delisi. Ms. Delisi is the former Chief of Staff and political advisor for Governor Rick Perry, former Texas Transportation Commission Chairman and One-woman political Powerhouse! Join Women Leading Government Texas, ICMA, and Cigna for a full day of networking, training, and discussion on women’s journeys and achievements within the profession. This one-day event is designed for women interested in strengthening both their leadership skills and professional trajectory in public service. Interactive workshops focus on designing your bold professional future, identifying habits that limit your success, and building your negotiation skills. Morning: Futurist Rebecca Ryan (link is external) will challenge you to design a bold vision for your professional future. Lunch: Bestselling author of 13 Things Mentally Strong People Don’t Do, Amy Morin (link is external) will counsel you on mental toughness. Sponsored by the League of Women in Government. Afternoon: Organizational behaviorist Sreedhari Desai (link is external) will help strengthen your negotiation skills. $150; For more information and to register CLICK HERE. Join Central Texas WLG for this special luncheon featuring guest speaker Angela Evans, Dean and Fellow of JJ Pickle Regents Chair in Public Affairs and Clinical Professor of Public Policy Practice at the University of Texas at Austin Lyndon B. Johnson School of Public Affairs. The League of Women in Government is proud to be a Diamond Sponsor of the 2017 Inspiring Women in Public Service Conference! *The student rate is for full-time students and for part-time students whose employers are not paying the conference fee for the student. For more information and to register, contact STWLG President, Arlene Medrano via email: ArleneM@cctexas.com. This meeting has been scheduled by Aiken County Assistant County Administrator & League Board Member, Ashley Jacobs, to provide a forum to discuss the next steps for establishing a professional group to support women in public service in South Carolina, how you can be involved and lead. Hear about how groups of women in local government are being formed around the country. Opportunity to network with other women leaders, listen to the challenges, and exchange ideas. Dr. Leisha DeHart-Davis, associate professor of public administration at UNC-Chapel Hill School of Government, and co-director of Engaging Women in Public Service, an UNC initiative that seeks to equip women to pursue public sector leadership positions. Dr. Kendra Stewart, Professor and Director of the Joseph P. Riley, Jr. Center for Livable Communities at the College of Charleston. Her research interests include South Carolina government, non-profit management, homeland security, state and local government, and women and politics. She is co-editor of a book entitled The Practice of Government Public Relations. For more information, contact Ashley Jacobs via email: AJacobs@aikencountysc.gov. The second annual Engaging Women Local Government Managers’ Summit will be taking place in conjunction with the NCCCMA Conference on Thursday, June 22 from 12:00 PM to 4:30 PM. This pre-conference event seeks to foster a network of women working in NC local government management, through networking and hands-on skill building. This is a NC-wide gathering of women working in senior local government management at the city, town, and county level. The North Carolina City/County Management Association (NCCCMA) is a key event sponsor. We are planning a spectacular half day coaching and leadership workshop on May 24, 2017. Dr. Deena C. Brown will provide participants with insight on individual leadership success, with the focus of this workshop on YOU! You will learn your independent personality style, how to maximize your effectiveness, understand the importance of self-awareness and emotional intelligence, and create a strategic 30-day growth plan. Registration and Continental Breakfast at 8 a.m. followed by the opening key note by Robin Gerber, Leadership the Eleanor Roosevelt Way: Timeless Strategies from the First Lady of Courage at 9 a.m.
For more program and networking details and to register, CLICK HERE. The Science of Getting Ahead is presented by Leisha DeHart-Davis, associate professor of public administration at UNC-Chapel Hill School of Government. Leisha studies gender and diversity in public administration with an emphasis on local government. She is also co-director of Engaging Women in Public Service, an initiative of UNC-Chapel Hil School of Government that seeks to equip women to pursue public sector leadership positions. Her presentation covers social science research on the challenges for women in pursuing leadership positions, and tips for how to overcome them. Webinar – see registration information below. Morning Keynote: Maria Echaveste, Policy and Program Director at the Chief Justice Earl Warren Institute on Law and Policy at UC Berkeley, and Former Deputy Chief of Staff to President Bill Clinton. Executive Roundtables: Female executives from around the state will rotate through the room to answer questions. Panel Discussion: This year’s Women’s Leadership Summit panel will discuss ways in which women can better support each other in the workplace through use of empowering tactics, in addition to better serving their communities. Themes will touch on how to amplify women’s voices in critical decision-making. Moderator – Teri Killgore, Assistant City Manager, City of Vallejo. Panelists – Maria Hurtado, Assistant City Manager, City of Hayward, Carol Chetkovich, Professor of Public Policy at Mills College, Vanessa Carrera, Public Information Officer, City of Tracy. The WLG Career Achievement Award will be presented at the Women’s Leadership Summit during the luncheon award ceremony. Featuring Division Chief Anita Koester of the Lakewood Police Department, Investigations Division will be facilitating our next CWLG Coaching Call! More information and registration materials can be found at HERE. WG Twitter Chat: Why is #GenderBalance Important? League of Women in Government Seminar: What Are Your Greatest Strengths? What: 12 Events in 12 Months – Nationwide! Where: EVENTS page of our website!